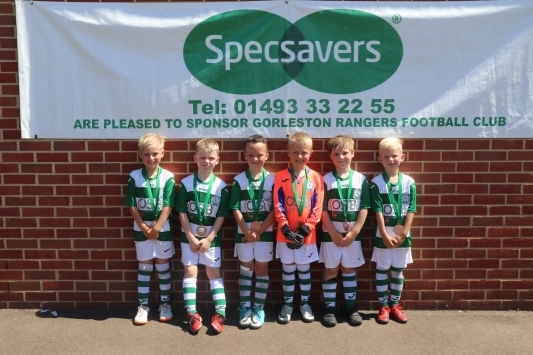 Gorleston Rangers FC founded in 1984 held its Annual Presentation Evening at the Ocean Room to mark the end of the 2017/2018 season on Sunday, 20 May 2018. 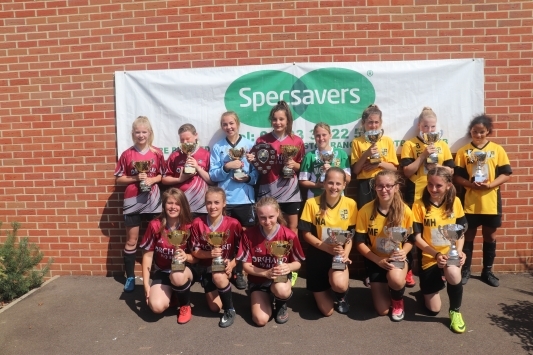 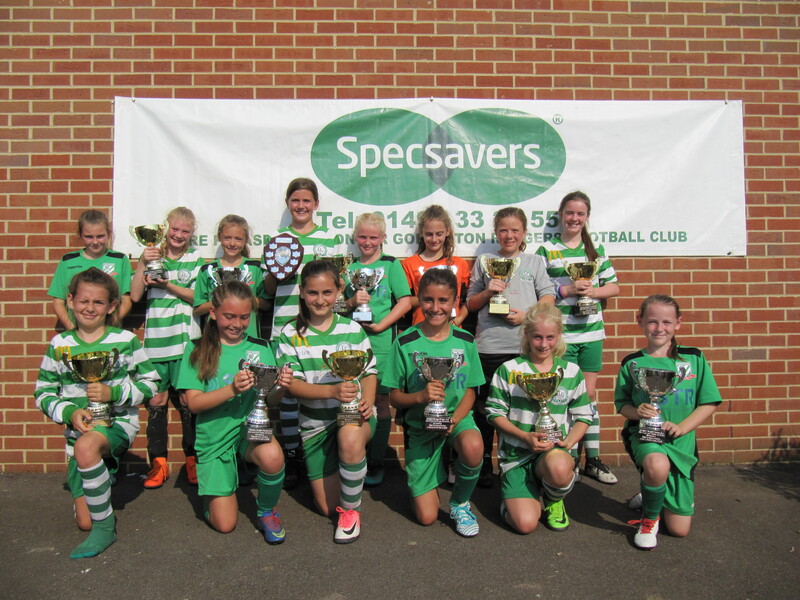 The Club entered 31 teams in the Norfolk and Suffolk Youth League, 4 teams in the Norfolk Women’s and Girls League. 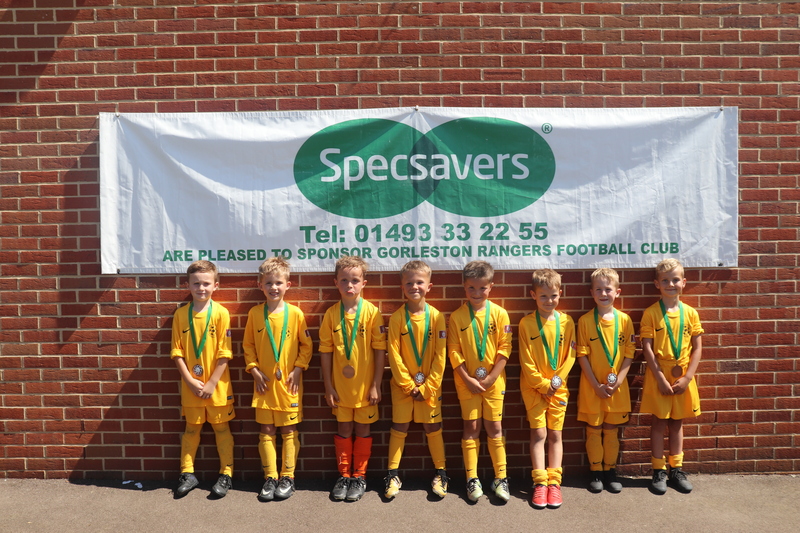 Probably the largest youth football club in Norfolk, GRFC is a Charter Standard Development Club. 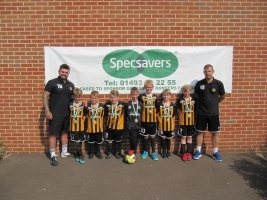 All football coaches at the Club have undertaken coaching qualifications, hold First Aid certificates and have been subject to CRB/DBS clearance. 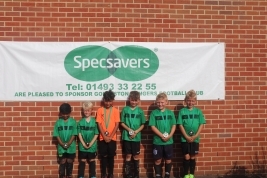 The Club holds mid-week sessions for U5 and U6 players, under 6 to 11 girls and a Saturday Morning Soccer School in preparation for Development Football from U7 onwards. 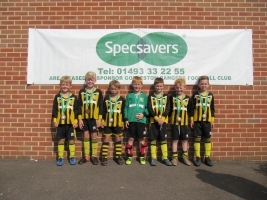 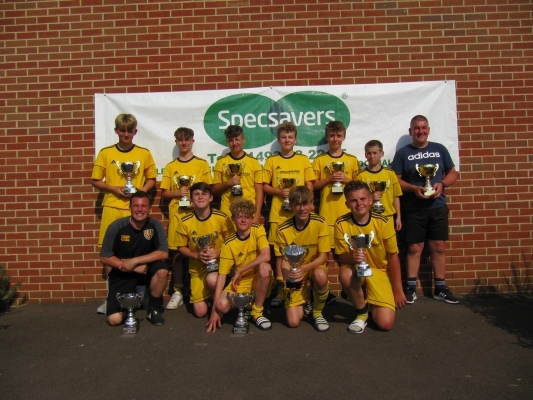 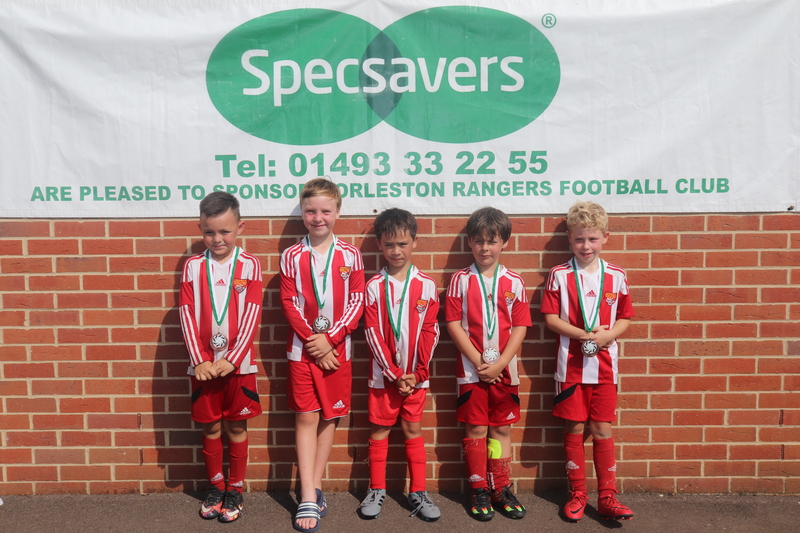 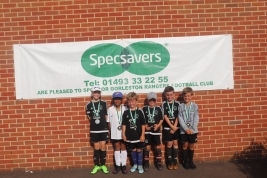 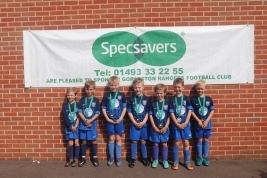 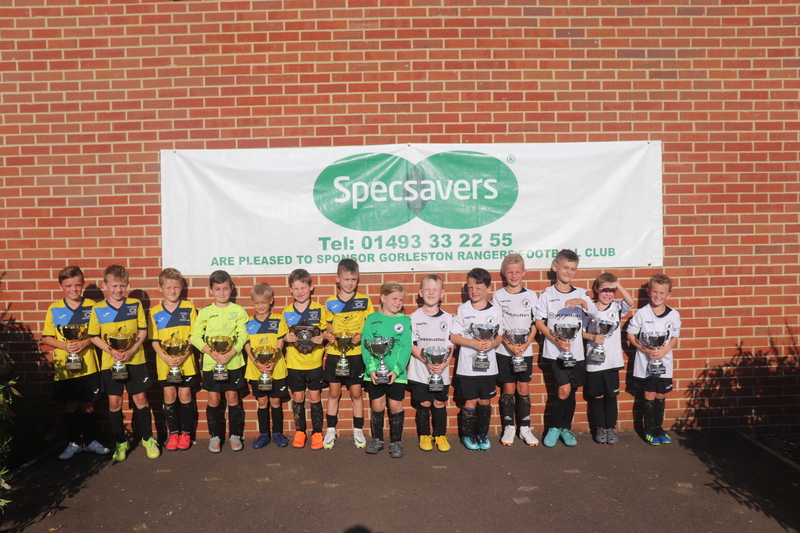 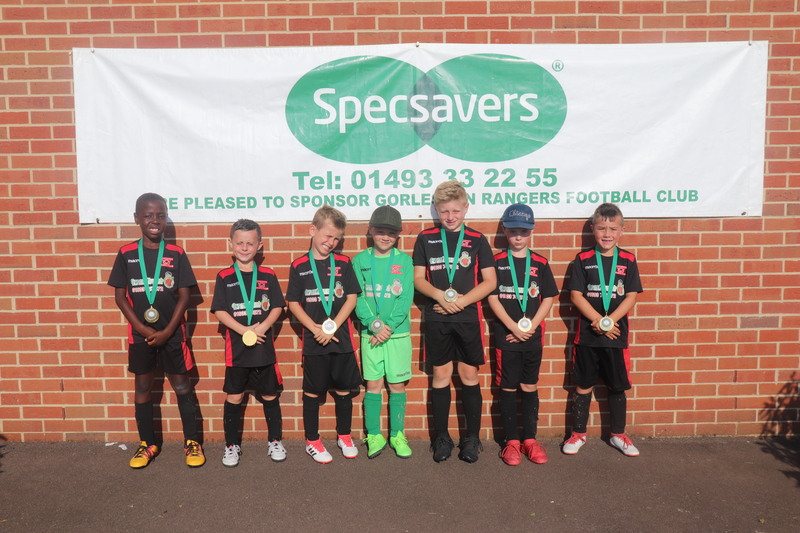 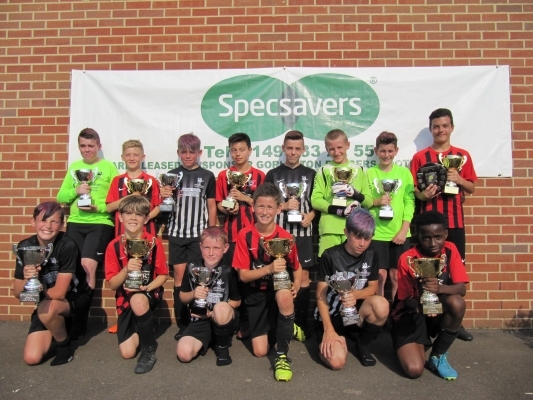 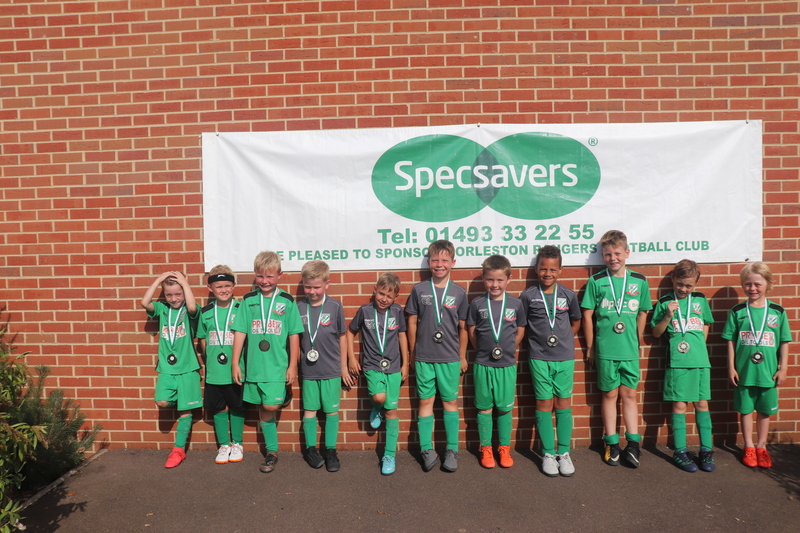 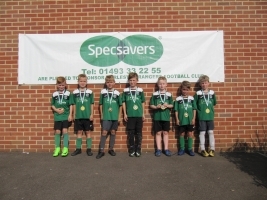 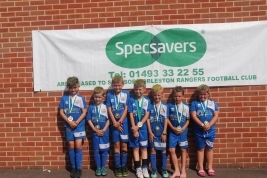 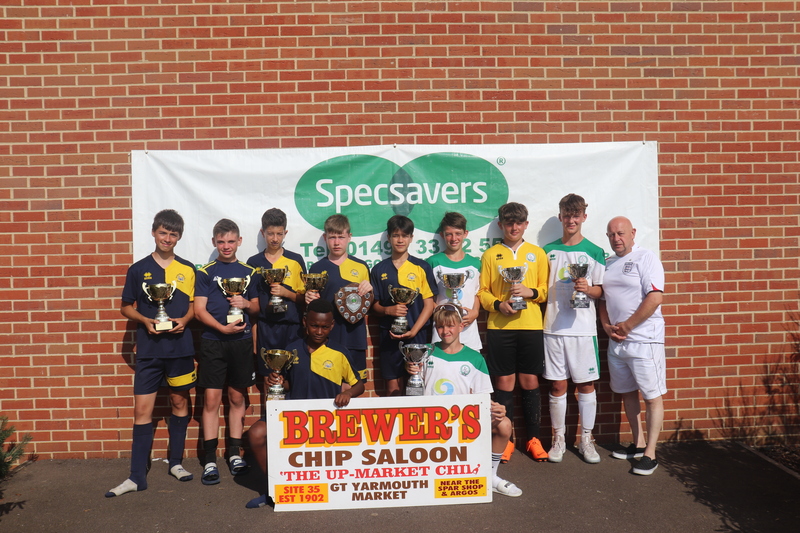 The highlight of the year is the Annual Club Tournament to be held at the Ormiston Academy in July which this year has already attracted over 150 teams from all over East Anglia with ages ranging from Under 6 to 16. 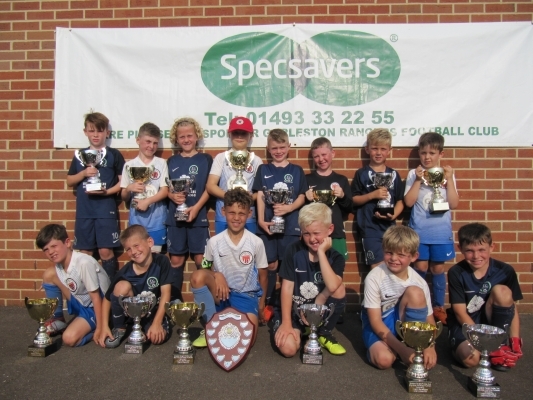 The Annual Presentation Evening provides the opportunity for the Club to showcase its achievements and celebrate together with each player receiving an individual trophy in recognition of their commitment to GRFC. 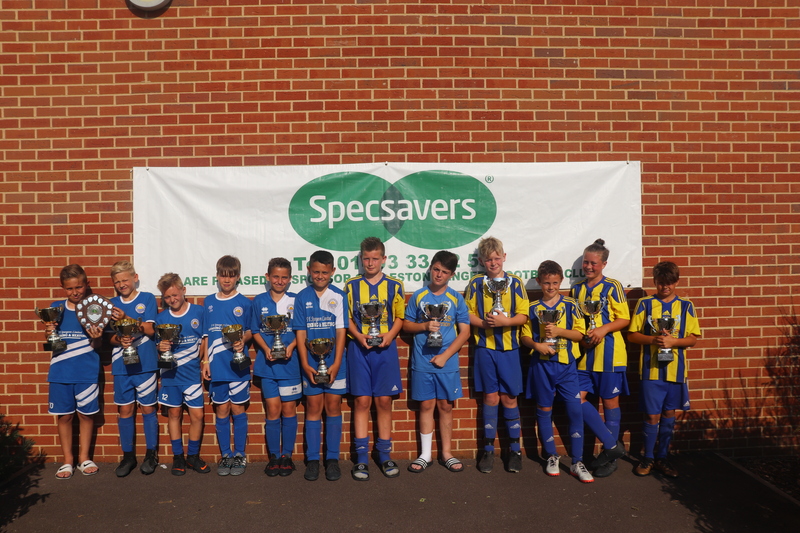 In addition to individual trophies, each team manager selects a Manager’s Player, Players’ Player, Supporters’ Player and Clubman who receive an extra trophy in recognition of their achievements. 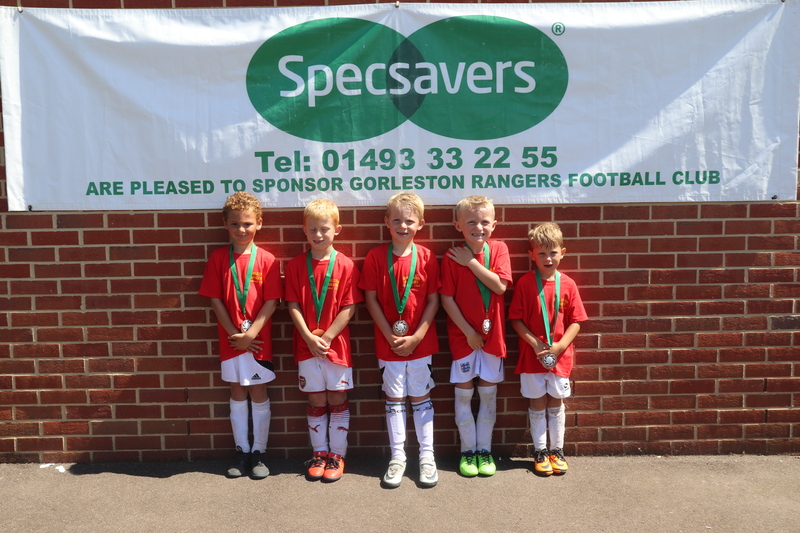 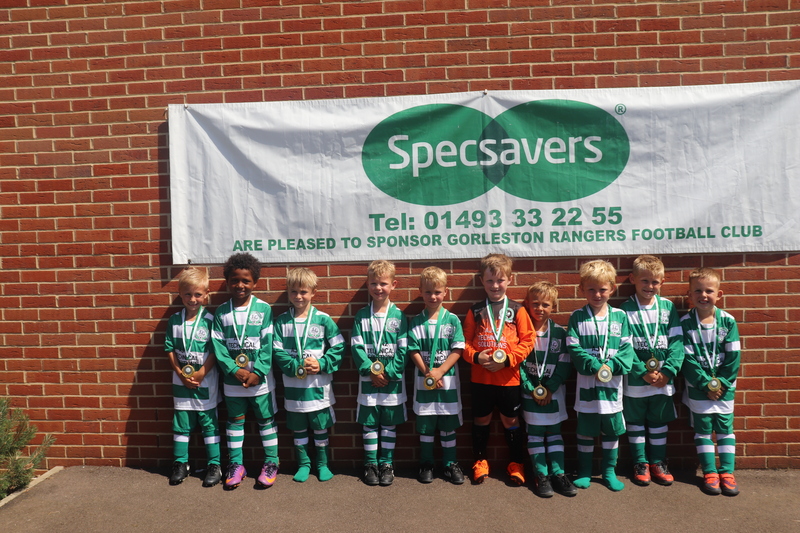 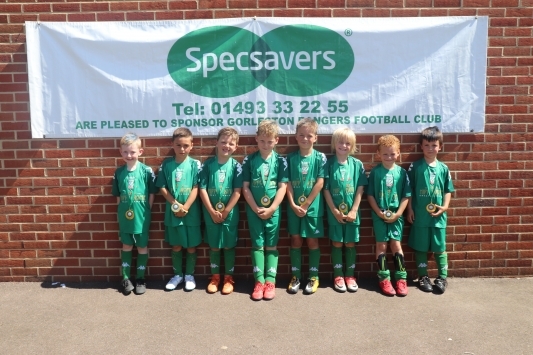 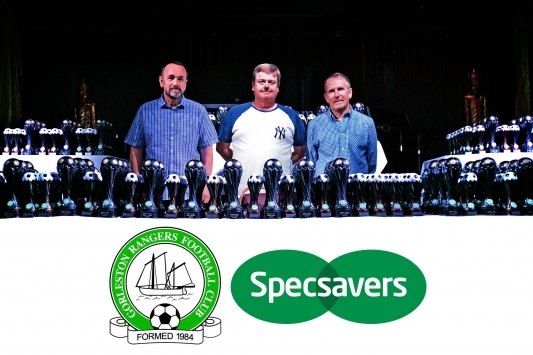 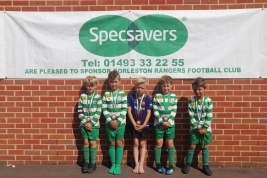 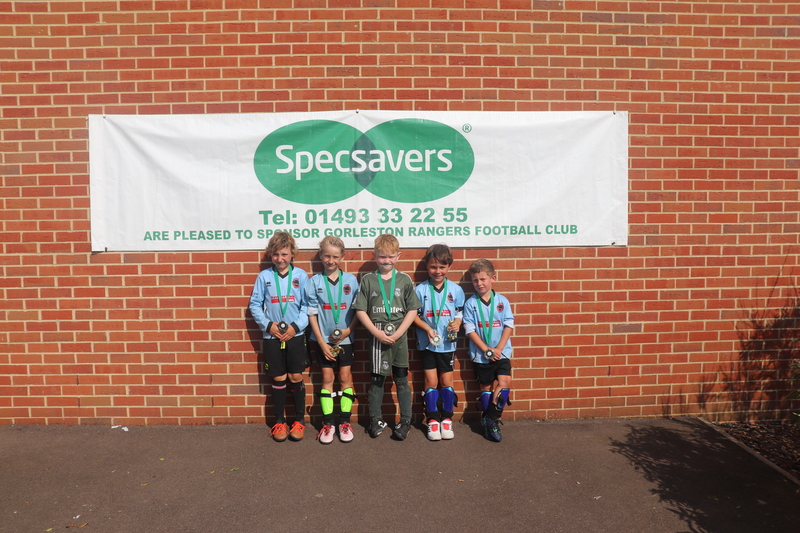 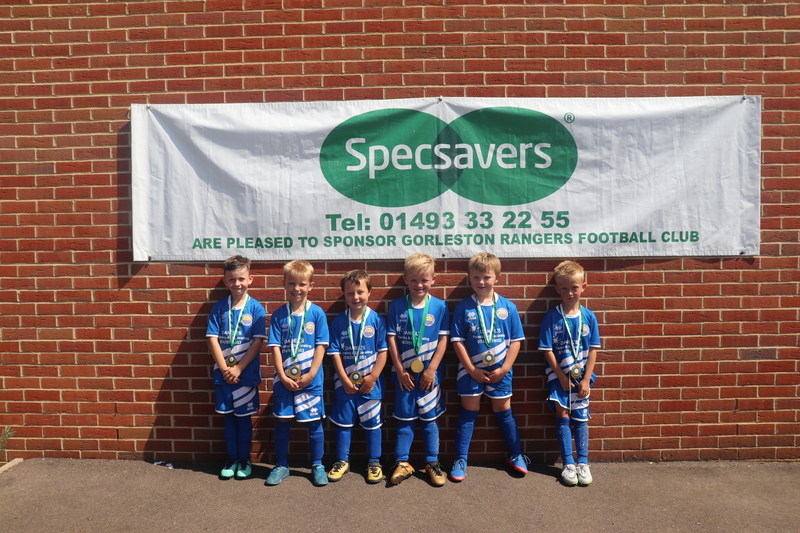 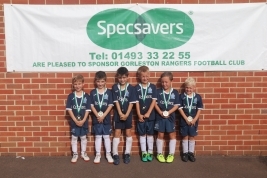 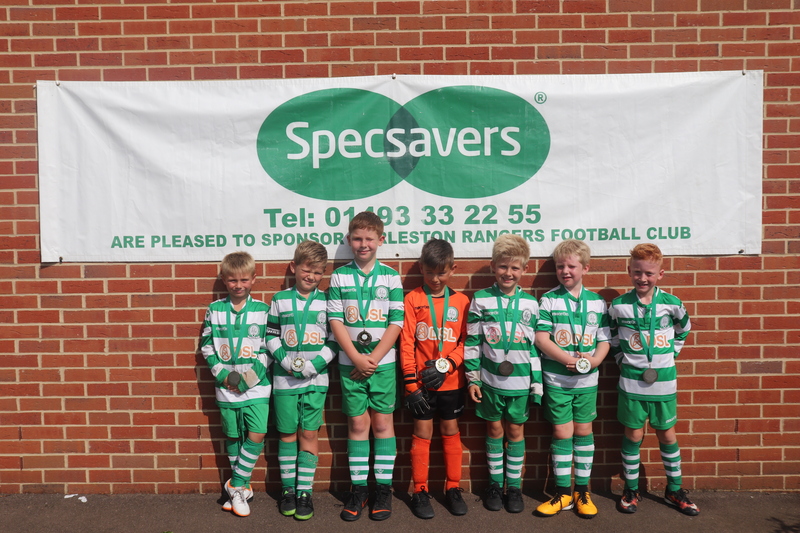 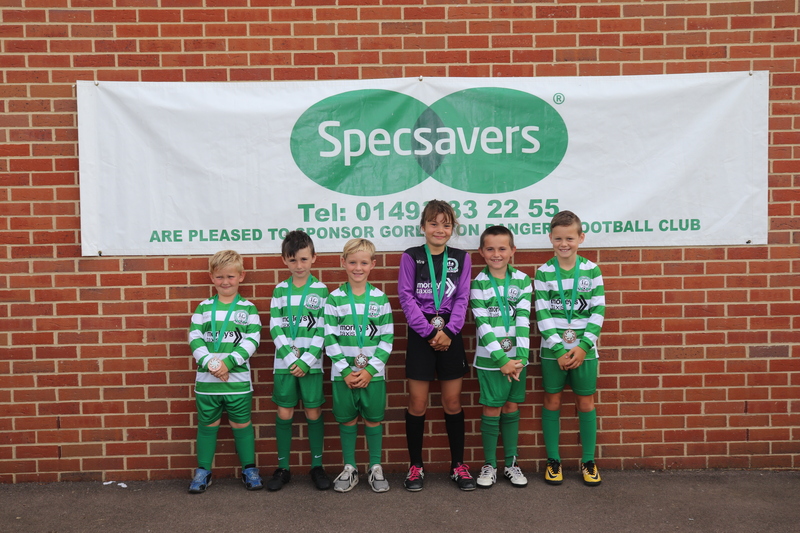 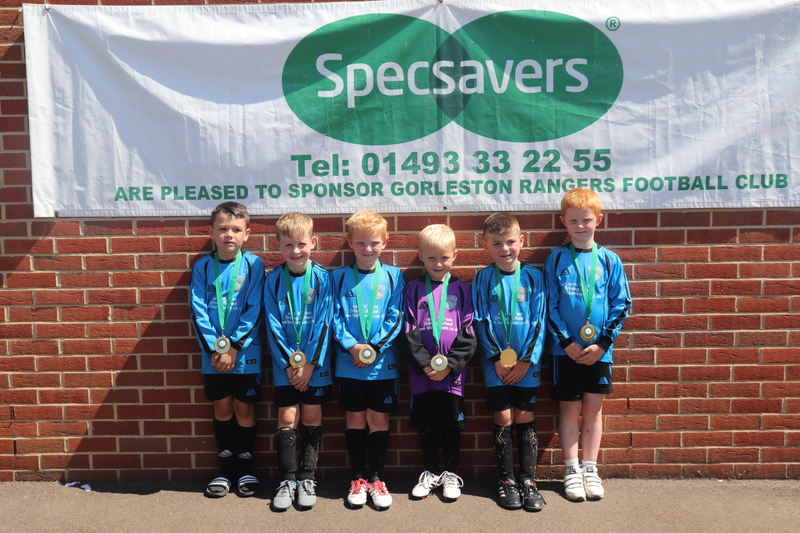 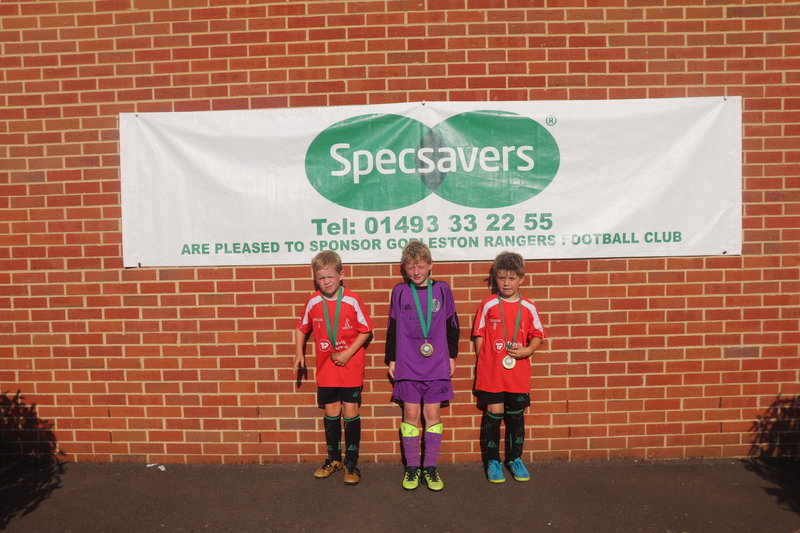 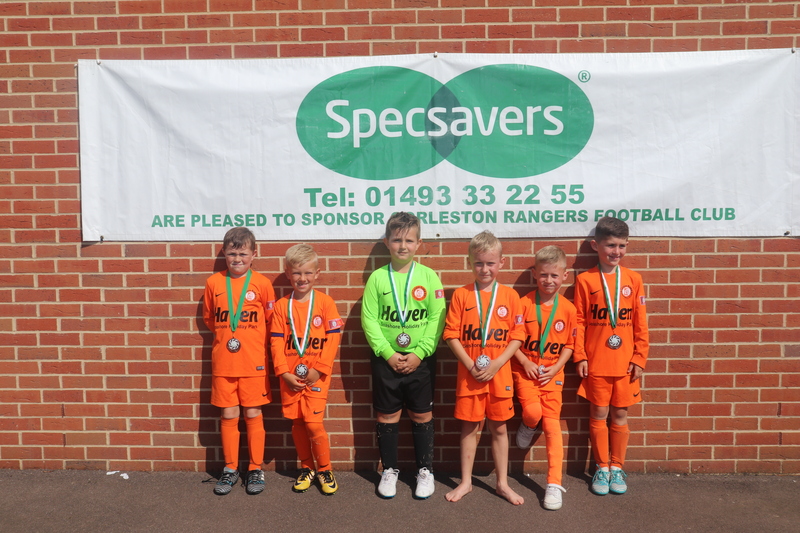 The Presentation Evening at the Ocean Room, sponsored by Specsavers (Gt. 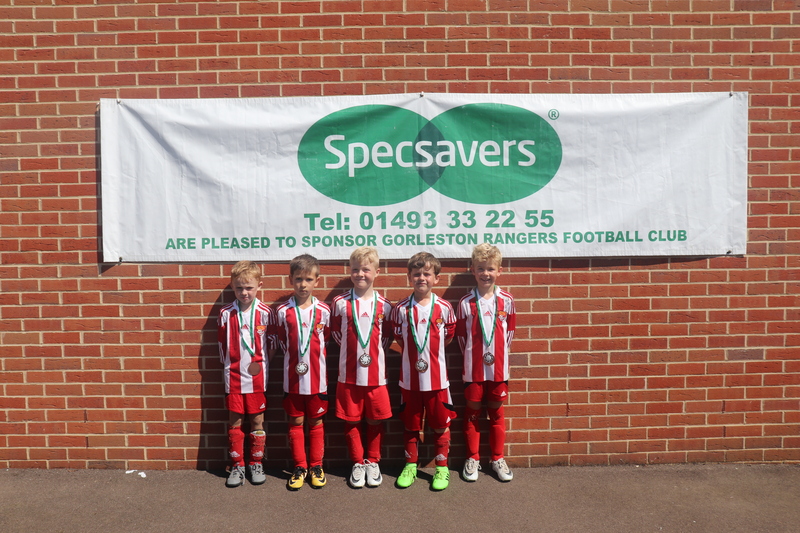 Yarmouth) was attended by nearly 1000 people. 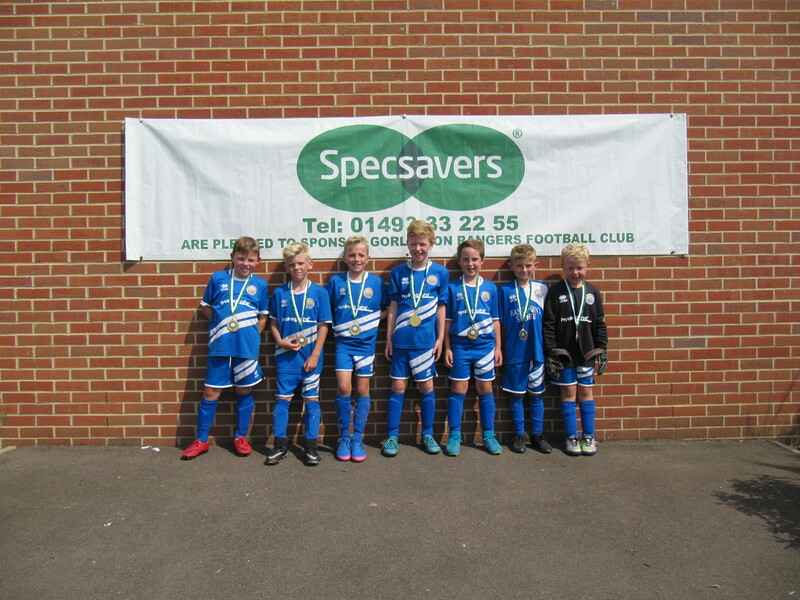 The Club is looking to expand next season and will be offering opportunities for both boys and girls who wish to play football. 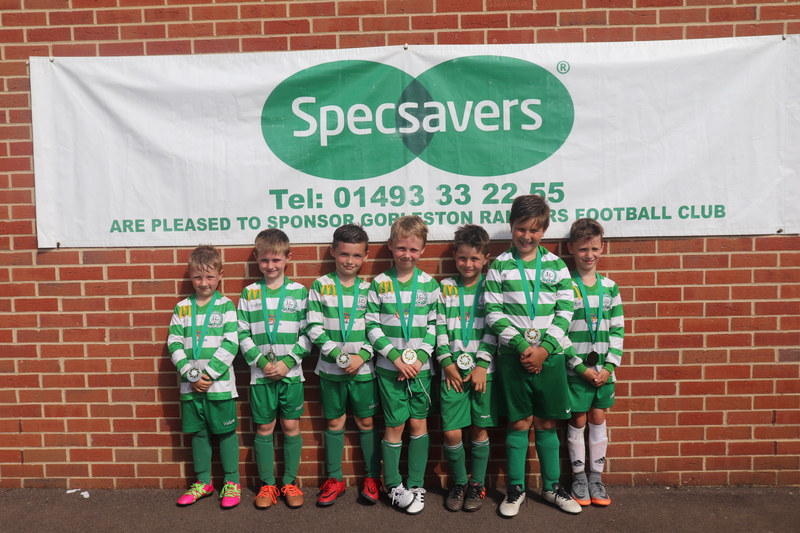 We are currently recruiting managers and coaches for some new teams, the Club will pay for all their coaching and related qualifications. 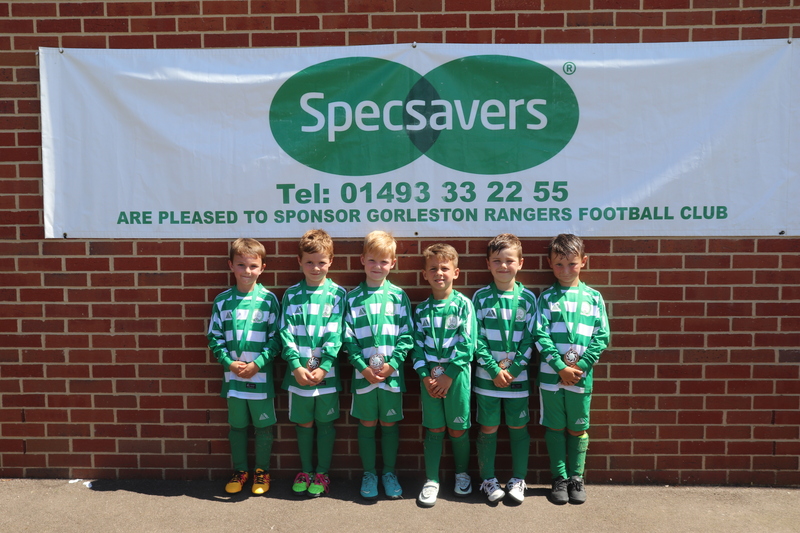 For further information and details on how to join Gorleston Rangers FC, contact either Club Chairman Chris Dunne on 01493 601256 or Club Secretary Graham Gibbins on 01502 730923. 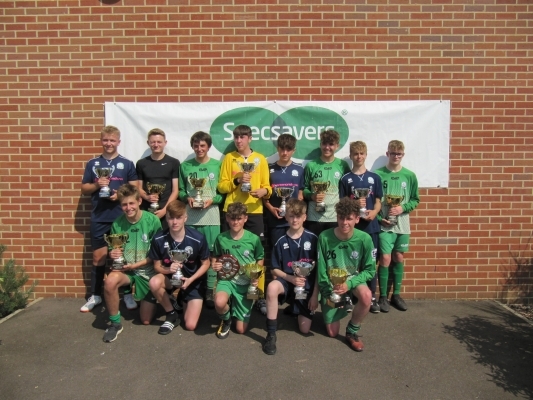 Under 16 players Abi Bell and Ethan Jerome collected engraved glass trophies to commemorate playing all of their youth football at Gorleston Rangers FC. 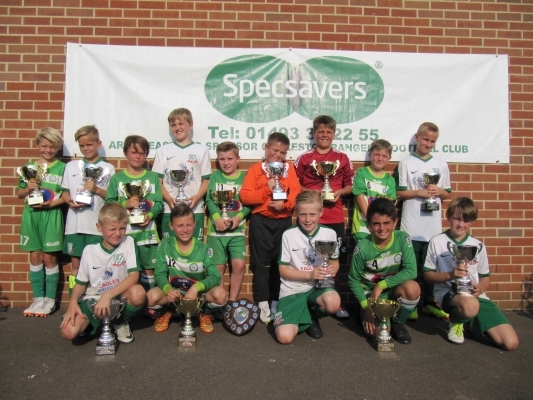 Paul Blissett was the Lee Dorothy Memorial Award winner for his outstanding contribution to the club during the last few years. 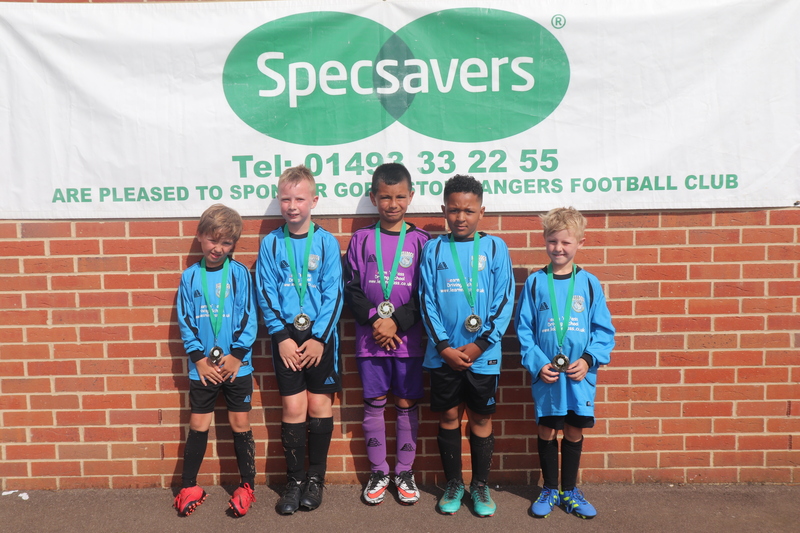 Joel Ross from the mini hoops group was the winner of the penalty shoot out competition and won £20 and the golden boot trophy for his efforts. 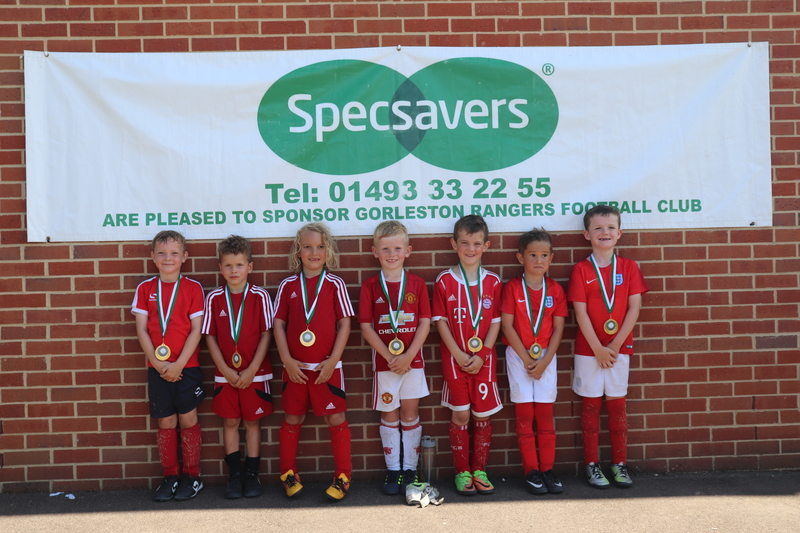 Please find attached a copy of an invitation for the above named event. 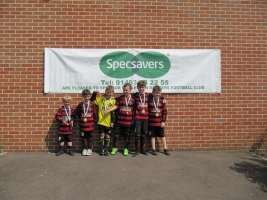 Hopefully you and your team enjoyed last year’s event and will enter again this year. 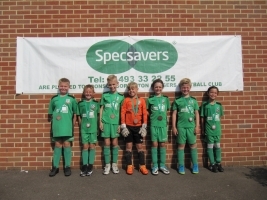 The attached letter and application form will answer any queries that you may have about the tournament. 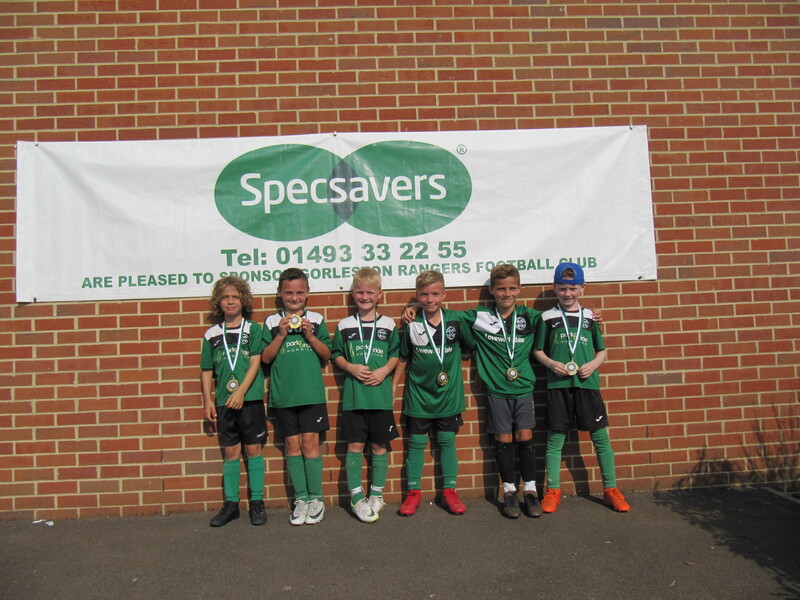 Please note that once again all age groups are five a side, under 6 to 10 playing mini soccer and under 11 and above playing with under head height restrictions. 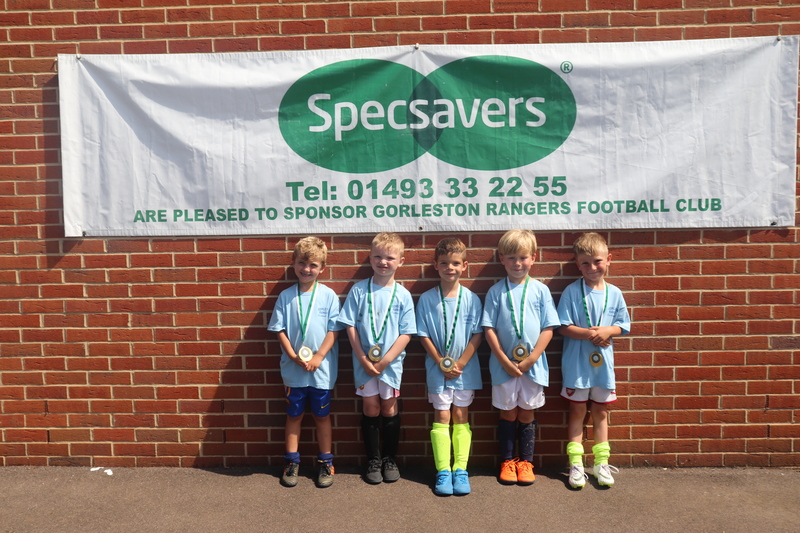 If after reviewing these papers, you have any queries in respect of this year’s tournament, please contact me. 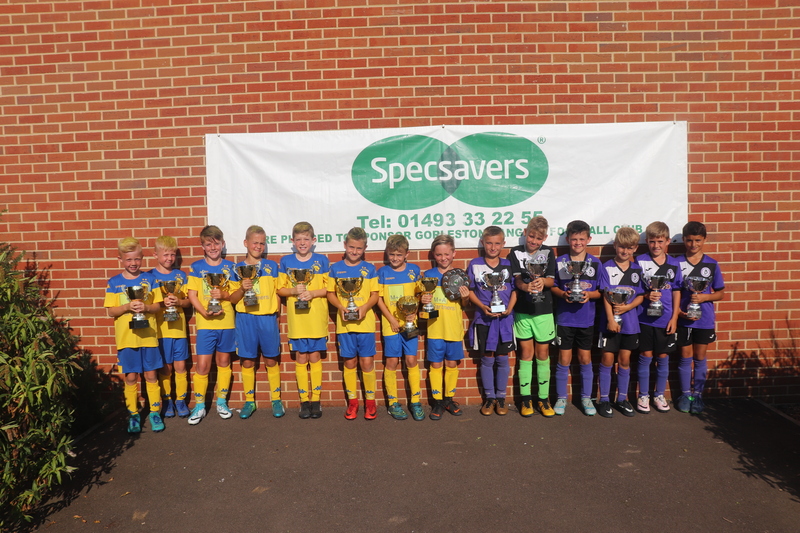 Last year’s event once again attracted over two hundred and twenty teams over the weekend, so early application is encouraged. 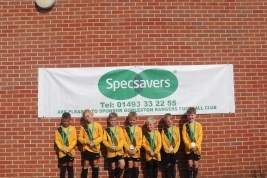 Last year some of the age groups were over-subscribed.Entry is accepted on a strictly ‘first come, first served’ basis. 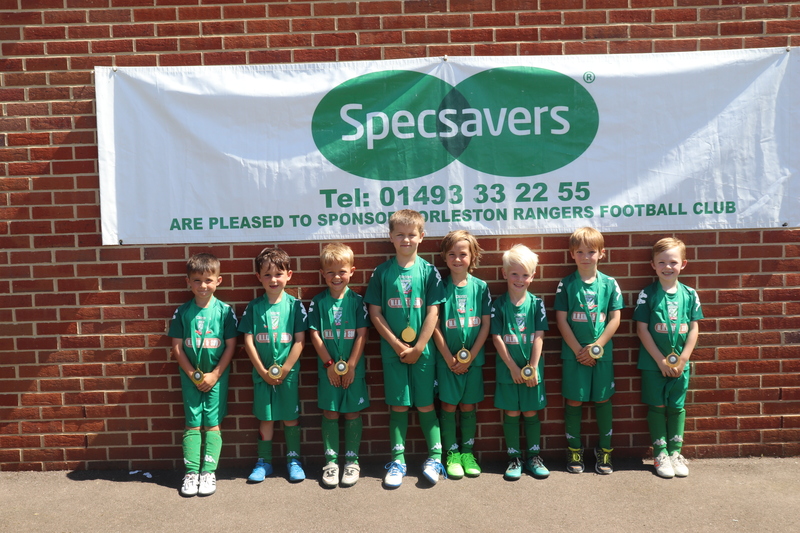 I hope that your team is enjoying a successful season and I look forward to hearing from you in the near future.